Are you tired of starting projects that seem to take forever to complete or don't get finished at all? Do you know how to determine if a project will be worth your time and energy? When it comes to getting things done, time management and organization will take you only so far. What you need is an evaluation system for deciding which projects make sense to start, and which to avoid. And you need a model for planning your projects to make sure you have the time, space and energy to make them happen. 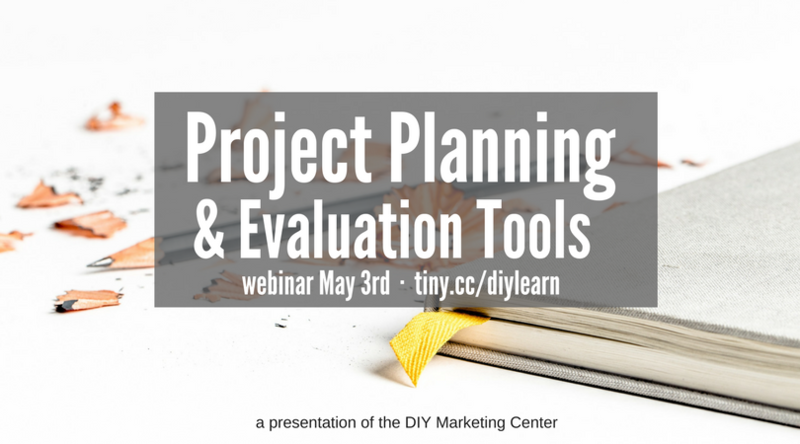 Join me on Thursday for the May marketing webinar: Project Planning & Evaluation Tools. I will be LIVE from 10-11 AM with a slide show, notes and answers to your questions. Do you want to know how to project confidence and credibility? Learn how, plus find out exactly what to say when you introduce yourself while networking. DIY Weekly Member Update · April 30, 2018 · #382 © 2018 Veronika Noize. All rights reserved.